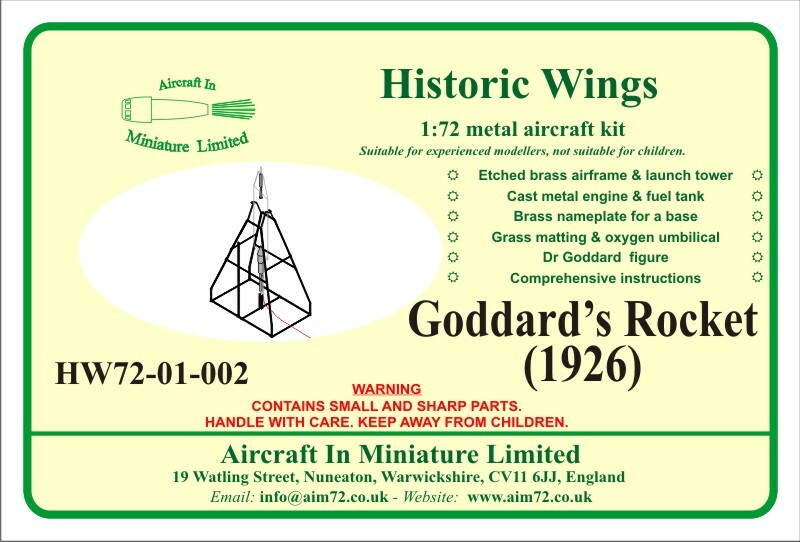 A 1:72 kit of Dr Goddard’s rocket and launch frame of 1926. 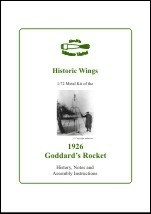 This is one of our later kits, which contains a name plate in the fret of etched brass parts. 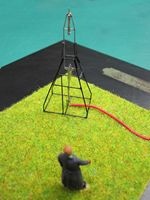 This name plate together with the rocket and its launch frame, grass mat and red oxygen umbilical, together with the cast metal figure of Dr Goddard lets the modeller produce a mini-diorama from the contents of the kit. 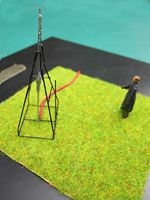 All that needs to be added is the base of your choice.